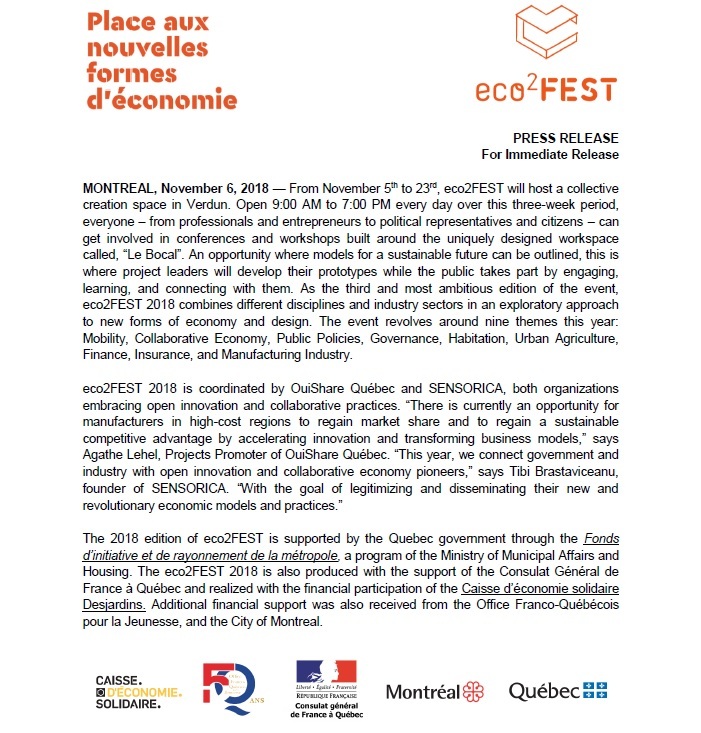 eco2FEST was a three-week event in Montreal that showcased how a collaborative economy can help develop a sustainable future. 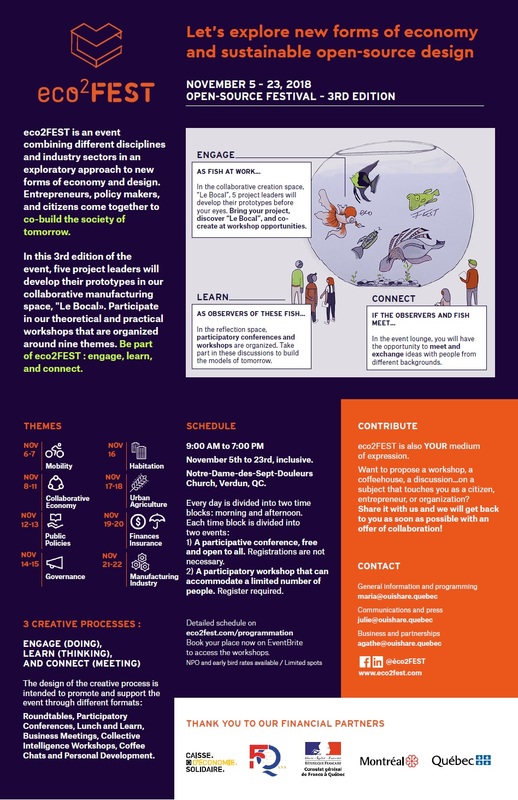 I worked with the eco2FEST team on the English side of their communication strategy. My job was to help in the public relations campaign to generate buzz leading up to and during the event. I started off with the copy for both the brochure and website. The brochure was used for both digital and print marketing campaigns. The press release went out next to gain media coverage. I also wrote weekly blog posts to cover the event. My goal was to encourage discussions among the participants and to pique the interest of newcomers. My blog post on the first week’s discussions was about mobility and the collaborative economy. The second week’s post captured what it takes for sustainable development. 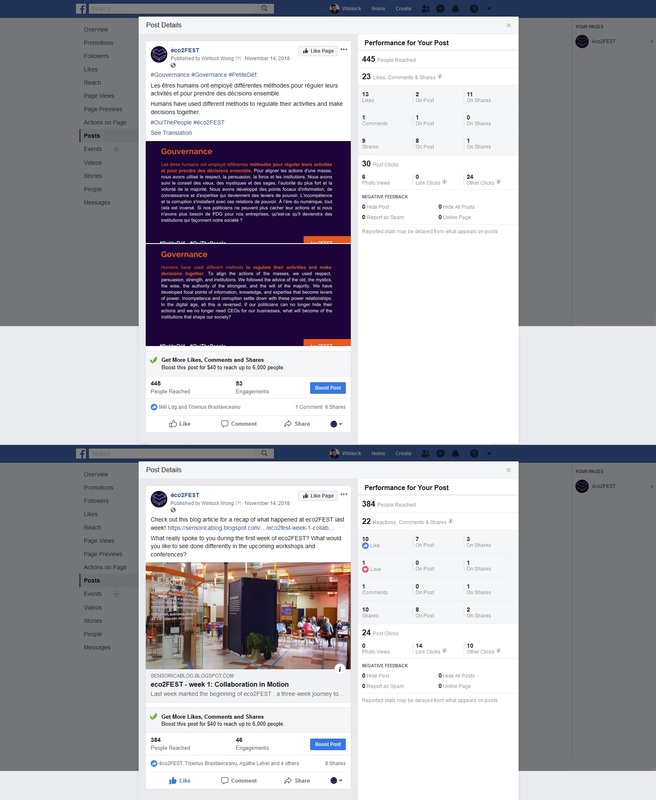 These are a couple examples of social media posts I used to regularly engage with eco2FEST’s followers. My content marketing efforts focused on getting them to think about the themes of the week and to get ready for next week’s topics. It’s always satisfying to be part of a marketing campaign from the very beginning and see it through its successful completion. I enjoyed working with the eco2FEST team and the feeling was mutual!